A vast number of emergency room patients who are admitted due to cocaine complications report cardiovascular difficulties. The majority experience general chest pain, but a number of specific conditions are the direct result of cocaine use. It is common to find calcification in the coronary arteries of cocaine users, even if they have only used it a few times a year. 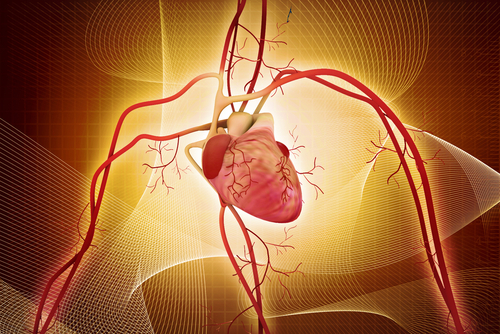 This means that the major arteries sending blood to and from the heart experience a severe build-up of calcium salts. Just as grease builds up in kitchen plumbing over time, eventually preventing water from draining, so does calcification cause a blockage of the arteries. This makes it difficult for blood to carry oxygen to and from the heart, ultimately resulting in a heart attack or heart failure. Aneurysms are also common in the coronary arteries of cocaine users. This is a condition in which the blood vessels fill with pockets of blood, causing balloon-like bulges in the wall of the vessel. Aneurysms are at risk of rupturing, which is fatal. When the heart has to work harder to pump blood through hardened arteries, the muscle becomes thicker, resulting in an enlarged heart. When the walls of the heart chambers thicken, it can block the flow of blood through the heart or prevent the heart from relaxing between beats and filling with blood. This, too, is common in cocaine users. Heart failure is the leading cause of death in the United States. However, cocaine-induced heart complications are somewhat different from heart failure from other causes. Heart failure and heart attack are typically caused by arterial build-up—meaning plaque accumulates on the walls of the arteries, narrowing them so that blood cannot flow easily. Cocaine users experience the same build-up of plaque, but it happens rapidly even with no other risk factors involved. Additionally, there is the added challenge of severe arterial wall inflammation. 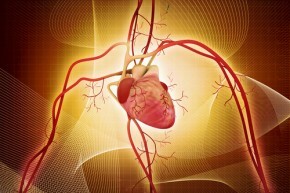 This adds scar tissue and other cells to the affected areas, narrowing the arteries even more. Some studies also show that cocaine can stimulate the formation of blood clots, which block the arteries even further. Cocaine can cause hardening of the arteries and massive heart attacks even in young, otherwise healthy users. The studies show that in most cases of cocaine-induced chest pain or acute heart attack, the only long-term remedy is to stop using cocaine. A lifestyle change, including quitting smoking, changing the diet and moderate exercise, is recommended. Medication may be prescribed. Emergency room physicians encourage cocaine users who are admitted for heart problems to be honest about their cocaine use. This can assist medical professionals in doing a proper diagnosis and suggesting proper treatment.